Financing your Dental Equipment Purchases has never been easier. 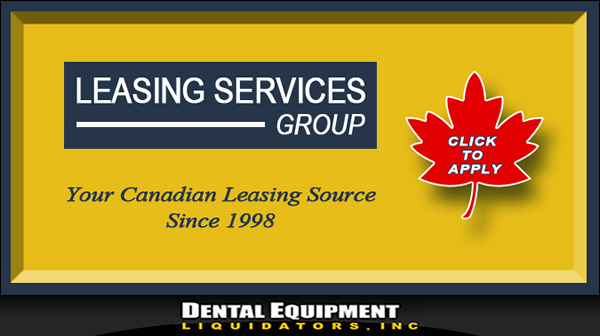 Dental Equipment Liquidators Inc. works closely with reputable Finance Companies in both the United States and in Canada. Please use the Links below to learn more information, contact a financing agent, or to apply for financing.